Even though your gums are an important part of your mouth, you probably don’t want them to show when you smile. Commonly known as a "gummy smile," some people have an excessive amount of gum tissue showing whenever they laugh or grin. While it's typically not an urgent problem, people with a gummy smile often feel self-conscious or uncomfortable sharing their smile. This is especially difficult in an age where everyone is sharing daily selfies to all their friends and family on Facebook and Instagram. If you are one of the many people who has a gummy smile, you should know that there are several treatment options that can help. Whether your gummy smile is caused by an overgrowth of soft tissue or a hyperactive upper lip, talking to your dentist in High Point, NC about your concerns can lead you to a solution. Our staff at DentalWorks - High Point works with patients to understand their needs and goals before we discuss possible treatment options, like laser gum contouring or orthodontics. Once you've decided on a treatment, we will customize your plan to deliver your best results. Before you schedule your consultation, learn more about the causes of a gummy smile and some possible treatment options. When you're ready, we hope you'll give us a call to schedule your consultation at our office in High Point, NC. There are a few reasons why some people struggle with showing more gum than teeth when they smile. Before choosing your treatment, your dentist will need to determine what's causing your gummy smile. This can usually be done with a basic physical examination, but in some cases, your dentist may take digital x-rays or perform a bite assessment. The most common cause of a gummy smile is an overgrowth of gum tissue that hides too much of your teeth. This can make your teeth look short or underdeveloped because your gums are hiding too much enamel. Excess gum tissue can develop because of genetics, certain medication, as well as an infection or inflammation in your gums. Before treating your gummy smile, your dentist should look for the underlying cause. If the problem is caused by gum disease, you may need a scaling and root planing treatment. If there is no underlying condition causing your gum tissue overgrowth, your smile can usually be fixed with laser gum sculpting by a skilled dentist in High Point, NC. Some individuals have a hyperactive upper lip, so the muscles that control the movement of the skin below the nose pull the lip up too far, which exposes more of the gums. This is usually a genetic trait and while it's not a medical problem, many people would like to get it fixed so their smile looks more attractive. Many patients in High Point, NC have successfully improved their gummy smile caused by a hyperactive upper lip with BOTOX injections. In some cases, how your jawbone and teeth developed can lead to a gummy smile. For example, an upper jaw that juts out can lead to buck teeth and too much visible gum tissue. A dental misalignment is typically corrected with an orthodontic treatment, like braces or removable aligners. If your excess gum tissue is caused by an infection or inflammation, your dentist may treat this with antibiotics or a scaling and root planing (SRP) treatment. Once the underlying issue is addressed, your dentist can determine if you are still a candidate for laser gum sculpting. To remove excess gum tissue and reveal more enamel, our dental practice in High Point, NC offers laser gum sculpting (also known as periodontal plastic surgery or crown lengthening). 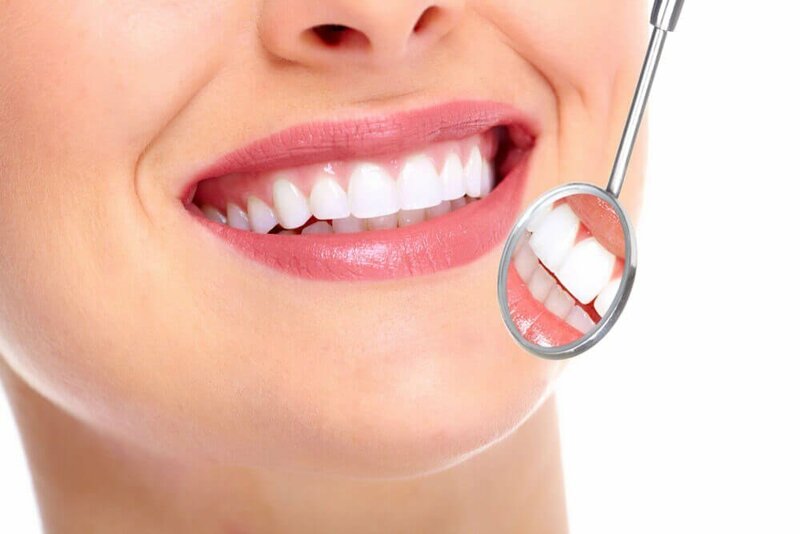 Using state-of-the-art technology and techniques, we carefully remove small strips of gum tissue until a higher, even gumline is revealed. The laser cauterizes the soft tissue to minimize bleeding during the procedure and make your recovery easier compared to traditional gum surgery. Your dentist will use the laser to sculpt your gumline so your smile has the optimal ratio of gums to teeth. Depending on your specific needs, DentalWorks - High Point offers different levels of sedation to keep you comfortable while we contour your gumline. If your gummy smile is caused by a hyperactive upper lip, you may ask your dentist about BOTOX injections. Similar to the way injections of BOTOX relax facial muscles to correct dynamic wrinkles on your forehead, BOTOX can be used in your upper lip to temporarily reduce the movement of your lip when you smile so your gums are less visible. While many dentists in High Point, NC do not perform BOTOX injections, they can usually recommend a skilled plastic surgeon to help you. To repair a gummy smile caused by a bad bite, your dentist may recommend an orthodontic treatment. At DentalWorks - High Point, we offer clear aligners to meet the needs of each of our patients in High Point, NC. Our team assesses each patient's unique needs and goals before recommending a personalized orthodontic treatment plan. Once it's complete, your smile will be less gummy and your whole mouth will be healthier once your teeth are in alignment. If you are interested in a solution to a gummy smile, there are options to help correct it at DentalWorks - High Point. A better smile can boost your self-confidence and you may find you want to smile more! To learn more about laser gum contouring to remove excess tissue, contact your dentist in High Point, NC to schedule a consultation. If you're a patient of DentalWorks - High Point, we'll assess your teeth and gums and discuss your options. Our experienced team can perform a scaling and root planing treatment to reduce gum inflammation or laser gum contouring to remove excess tissue. We also offer modern orthodontic options that will not only correct your gummy smile, but also get your teeth in alignment for better oral health. No matter which treatment option you choose, we'll create a treatment plan that improves the aesthetics of your gumline so you can smile with confidence.